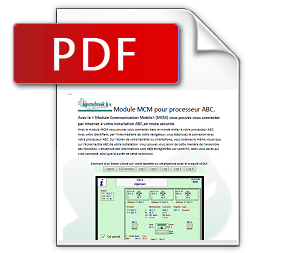 Log onto your ABC processor all around the world, with the MCM module. Using the personal code you can connect to your ABC processor with the web browser. 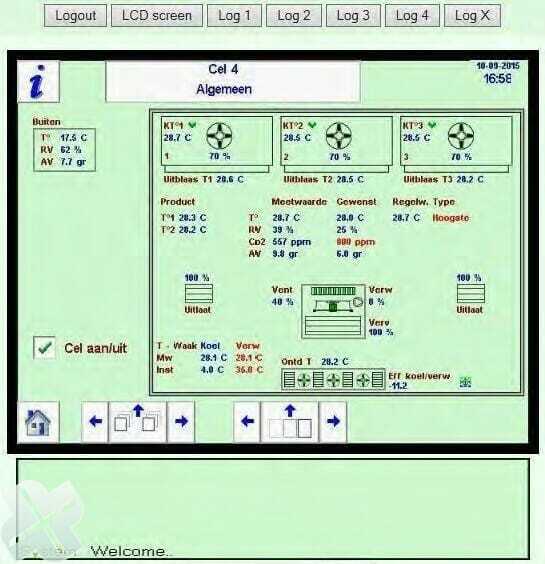 On the screen of your tablet or smartphone you will receive the same information as displayed on your ABC touchscreen. All of the features can be operated in the same way. All data is already registered onto the PC, including who, when and how long was logged in. Logout: Forced shut down. You will be logged out automatically when the MCM module has not been active for a preset period of time. LCD screen: Return from ‘Graphic’ to the screen. Log 1 – Log 2 – Log 3 and Log 4: Graphics preprogrammed by you. 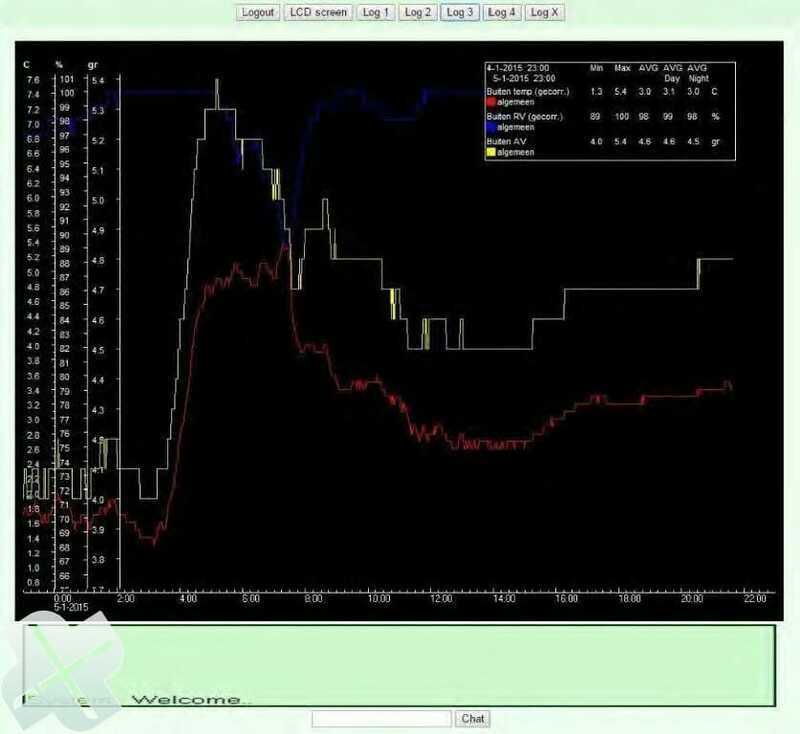 You can prepare them using the ABC PC-software. Log X: This is a graphic that can be requested be chosing an available item at that moment. 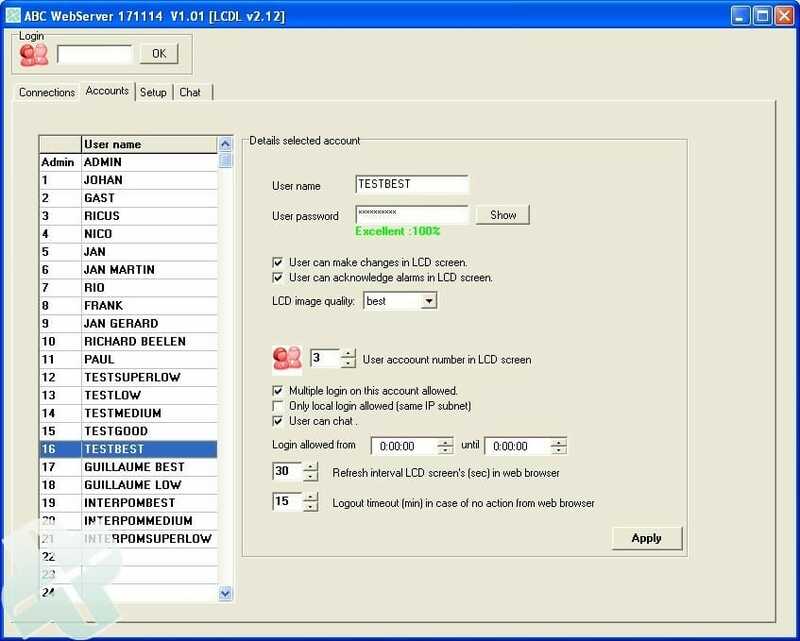 Chat: Chat feature is used to send text messages to the base and to all logged in users who have that setting. Configuration screen of the MCM module on your PC. Every user has its own unique settings with password and user code.